Chrome Mesh Drafting Stool features a translucent mesh back and upholstered seat. The mesh back allows light to flow through keeping a thin profile and open ambiance around meeting tables. Shown with an upholstered seat armless. This handsome drafting chair works well for standing height tables and desks. Available in a any color fabric faux leather or leather. Mesh back options include black, silver and bronze. 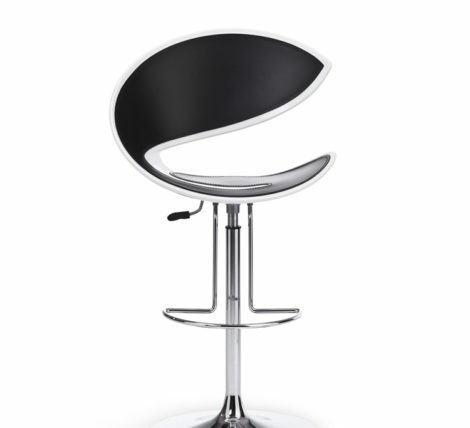 This chair is available in two back heights in a seated height for conference rooms and desks. Upholstered back also available. Built to order allow 6-8 weeks for delivery.